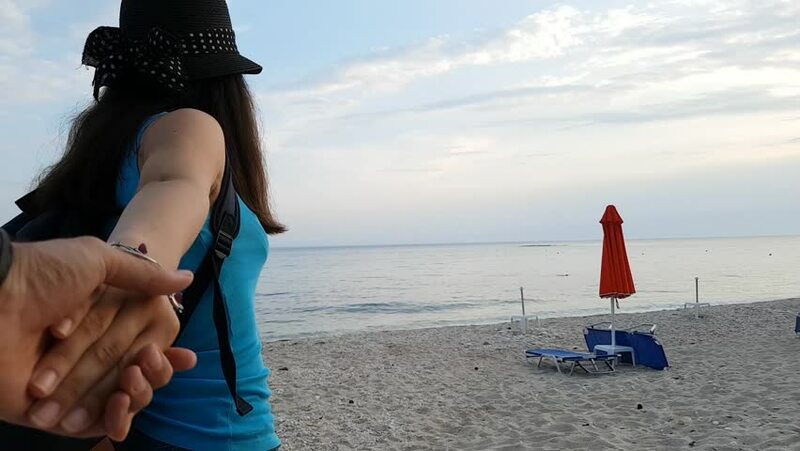 SLOW MOTION: Young brunette woman lovingly glancing behind and smiling while leading her partner by the hand towards the sea. 4k00:17Tourist woman with leather bagpack standing near the coastal landscape in Iceland. 4k00:14A girl flirting with a guy in the open air. hd00:13Woman on a bicycle with a backpack looking at the sea on the beach. Back view, slow motion.